Persona 4: Dancing All Night Released in Japan, Check Out The Colorful Opening Movie! It's finally come down to this, as Persona 4: Dancing All Night has finally released in Japan! That means Atlus has released the entirety of the game's opening movie, which contrasts a deep red against the colorful cast of the game. 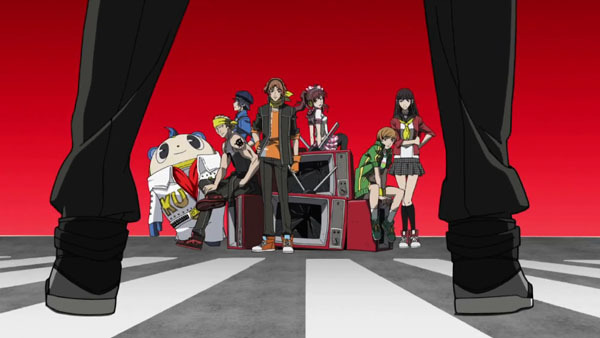 Across several vignettes, it shows off a colorful background with the cast of Persona 4 busting a move. It's the Persona 4 cast as you've not seen them yet before, with some of the most admirable dance moves this side of a DDR player. And if you didn't want to pick the game up yet, you're going to want to after watching the opening. Seriously. Just a little longer to wait, North American fans! Check back here for a review once we've gotten our grubby little paws on it!